THANK YOU TO OUR 2017 LIGHTS OUT LLOYD PARTICIPANTS! This year, over 500 individuals and 18 buildings made the pledge to go Lights Out this fall. 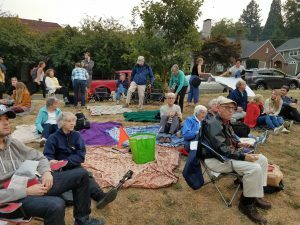 And thank you to the residents of Holladay Park Plaza for joining us for our Vaux’s Field Trip! It was a beautiful night, glad we got to share the experience with us! Portland sits along the Pacific Flyway, a migratory path used by hundreds of thousands of birds every fall and spring. LightsOut programs help prevent birds navigating at night from getting attracted to urban areas, where they can get off course and injured. 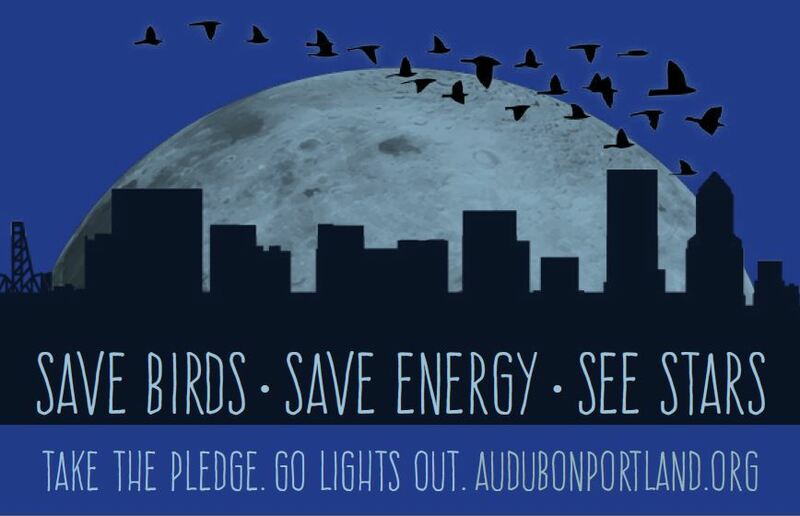 Join Lloyd EcoDistrict and the Portland Audubon Society as we go Lights Out in Lloyd this fall. You can make a positive impact on the night sky by reducing unnecessary lighting around your home and office. It’s easy, and it saves energy and money while saving birds! Contact Diana at diana@ecolloyd.org with questions.